Music lovers and audiophiles beware – An album of magic addictiveness is available for your hypnotic pleasure. Jon Madof’s group of seven out-of-this-universe musicians come back together for more jazz-infused, imaginative solos amid crazy, cacophonous Cuban rhythms. While last time, the choice was to honor Shlomo Carlebach with their inventive treatment, this time they headed to territory more clearly their own, by honoring avant-garde composer and producer John Zorn. Zorn’s compositions reflect his Jewishness to an attuned ear; slight Ashkenazic klezmer inflections and the occasional Sephardic abound throughout. 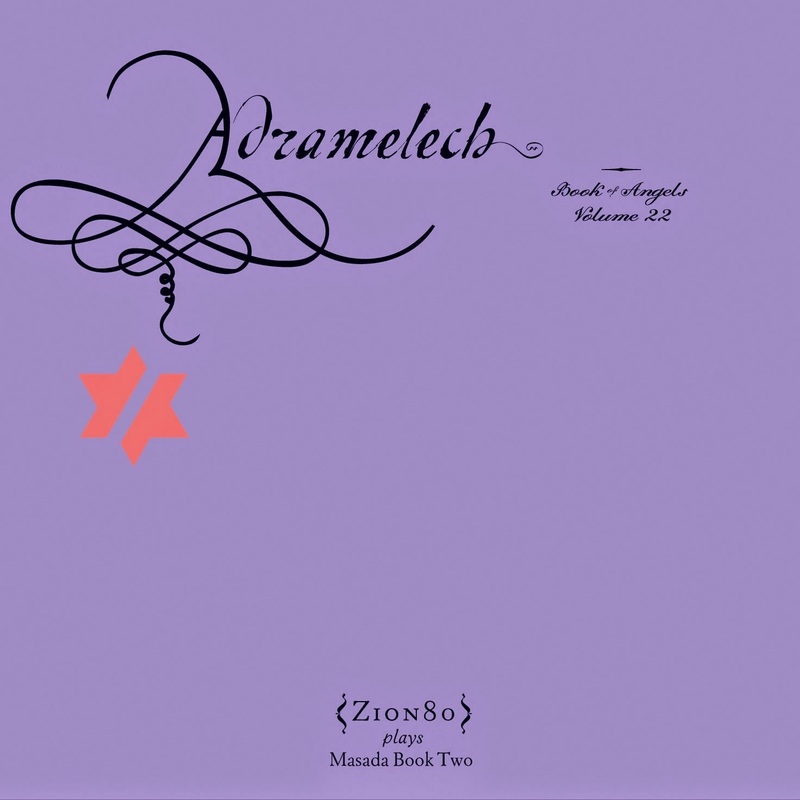 The collection is titled “Adramelech – Book of Angels Vol. 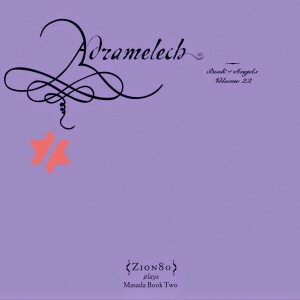 22”, subtitled “Zion80 Plays Masada Book 2”. As for me, I’m not quite sure what music the angels are playing up there – although certainly not solo harp. These works, on the other hand, seem to be a human perspective of a literal reading of Yechezkel’s Vision of the Chariot: Things quite intense, bolts flying hither and thither, roars and crackles. It’s quite the head-bopping, gas-pedal-to-asphalt experience. I’m also not a maven on Zorn’s prodigious work, and have not listened to the original performances. As such, I’m looking at this on its own merits – and it has plenty of those! Araziel opens things up with an insane organ solo that’s picked on its heels by Madof’s wailing guitar… And then the brass. At 4:30 or so, the cacophony is exactly that, and with a few spaces of surprising silence interrupted by the joy of a kindergarten class handed a dozen saxophones, the chevra head back into their theme. The biggest issue here is that the song itself is not much more than an intro theme, and as such it doesn’t go anywhere other than be a vehicle for the solos, after which it carries too long. I guess it can be looked at as an intro into the rest of the album. Sheviel is next, beginning with clear percussives and then to brass. An outer-space jam on the keys, and then the guitar plays off the brass and vice versa. Drums really give the piece its flavor. A deep throated solo from Madof at 2:40 is itself a work of wonder. In general, given how deep the playing is in this group, it’s almost unfair to call these solo spots, as everyone is just on full bore the whole way down. And that sax fade off is spot-on. An ode to archangel Metatron begins with a rock entrée that slows down to bebop and then back again. The tune is similar to those that Madof worked with on his Rashanim albums. Again, pretty simple; really a template for the improv to work off, rather than an actual melody. It feels like a small section, just a sliver of a song. In any case, a snazzy duel between the sax and trumpet makes for the meat of the piece, right before a humorous vocal humming that you’d expect to come from Dr. Suess’ wizards in his Oobleck tale. And just about there, Madof takes off on a ride! Boy, did these guys ever have fun. Shamdan has a more MidEast sound to it; cool bass bubbling up past the drums, while the flute/trumpet/baritone sax/alto sax syncing through. Afterwards, a dreamy guitar, and then the baritone takes over, getting a bit rooster-ish towards the end of his spot. Madof returns with a guitar riff that bespokes the other end of the spectrum of his earlier piece. And from there, the haunting melody heads back from whence it came. The next number, Kenunit is long, hypnotic meditation of sorts. Slower than most the other tunes on this record, its base is the warbling keys. While it picks up speed, it’s a bit too protracted for a recorded number, and unfortunately – and surprisingly – remains a bit boring, despite the spot solos. The Gameboy fade out is funny, though. Caila blasts back into familiar territory, with another intro-type piece, similar in structure and arrangement to Araziel. Some wild solos start at 1:15 on the baritone, leading to a dueling guitar and trumpet and an extended drum solo. Crazy stuff. Ielahiah: A Cuban rhythm, a rock guitar, an enchanting melody. But what’s up with the whistle? After that, it’s all that jazz, but big time. A very cool song, even if the title is unpronounceable. The final number, Nehinah, begins fairly inauspiciously with keys in the image of wind chimes. That takes a bit more time than I’d like, as the song only gets moving at 1:52. An olde-tyme trumpet is followed by a cool flute solo, and then back to the trumpet and back again. The two spots don’t match up well to my ear, but the skill of the flautist(s?) is (are?) undeniable, and worthwhile for themselves. End of the day: wow. That is quite an hour of music! Any instrumental aficionado or musician worth his salt will find Zion80 a blast. Check ‘em out!